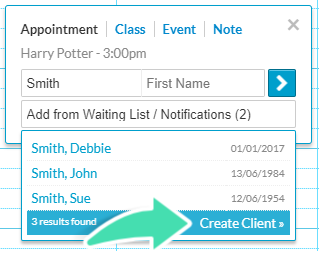 Create a Client Profile from the Diary at the time of booking to save valuable time! This article explains how to quickly secure a booking for a new Client, including the minimum requirements to create a Client Profile at the time of the booking. 1. Go to the Diary. 2. Click on an available slot in the appropriate Diary column. 3. 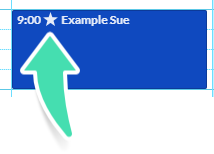 Enter the First Name and Last Name of the Client in the appropriate fields. Double check that the Client isn’t already in the database to avoid creating a duplicate. Use the list to compare Clients with the same name and their Date of Birth. 4. If no existing Client matches, click Create Client. 5.Complete the First Name and Last Name. Add a Phone Number (only one is required). 6. Ask the Client if they consent to SMS/Emails Reminders and Marketing and tick the appropriate checkboxes. 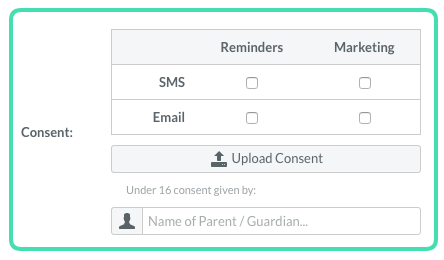 If the Client is under 16, record who gave consent in the Parent/Guardian field. If using SMS/Email reminders or sending the Client form by Email or SMS, corresponding consent is required. Once consent is given, a Client’s Mobile Number and email address should be added. 7. 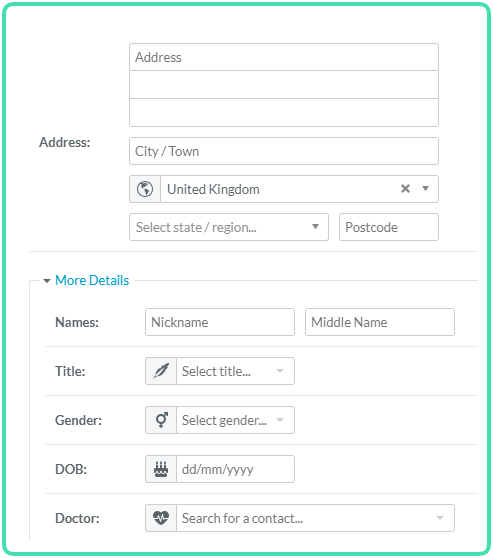 Add other details such as the Address, DOB, GP as is appropriate (optional, can be added later). 8. Click Create Client to reach the Create Appointment page. 1. 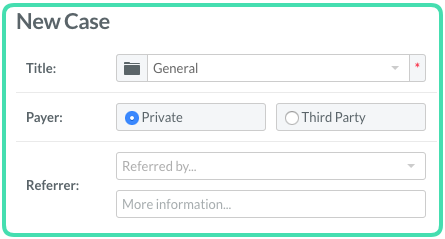 Select the Appointment Type from the list of existing Services. Start typing the Service name to filter the list. 2. Set up a case for this appointment. See Creating a Case for more details. The appointment will be shown in the Diary. 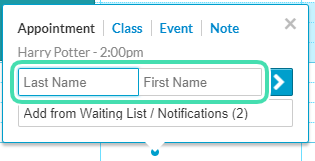 There will be a full star between the appointment time and the Client Name indicating this is a New Client. We recommend using the Client Form to get Clients to complete additional information. This will then be added directly to their Profiles before their first appointment. See Using the Client Form for more details.